Sure, you could buy canned or bagged corn if you want old slimey corn that was removed from their cobs months ago. 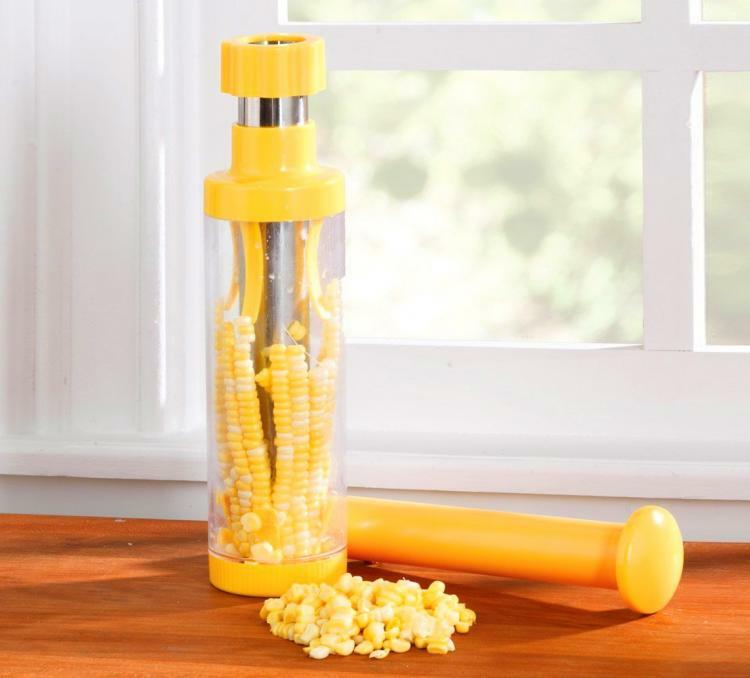 But if you want fresh kernels of corn to cook to make as a side or part of your meal, this deluxe corn stripper might be for you. 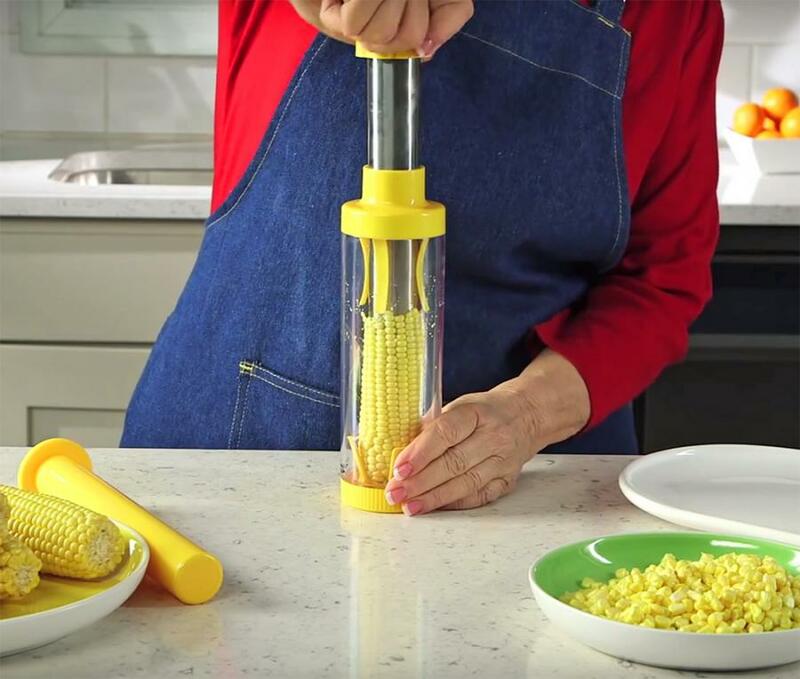 No, it's not a corn cob fashioned into a pole dancer, it's a unique kitchen tool that lets you easily strip a cob of corn of its kernels in just seconds. 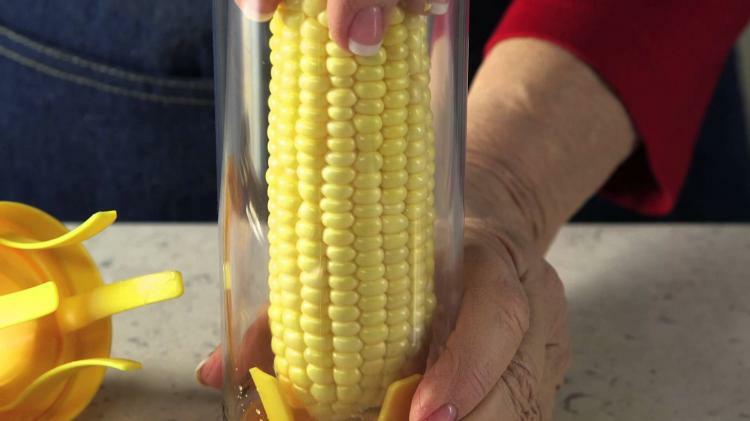 It works on any kind of corn cob, whether it's fresh, frozen, and even cooked. 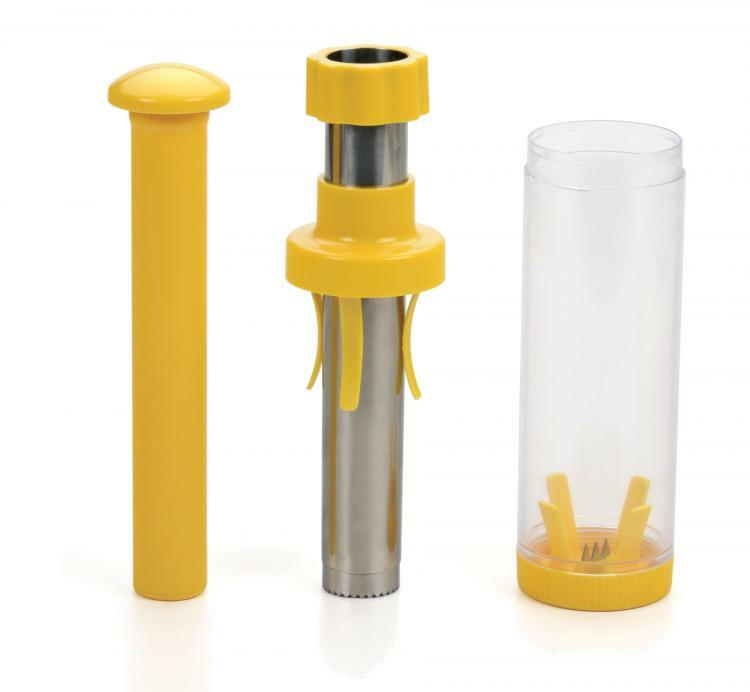 To use it, just insert any corn cob into the container and press down to secure the cob onto the prongs at the bottom. Then line up the stainless steel blade unit with the top of the corn cob. With a gentle pressure, press downward and twist at the same time. You can then remove the blade which will also remove the core of the corn cob. All that will be left is the kernels from the corn cob, which you can dump in a bowl and continue on with stripping more cobs. 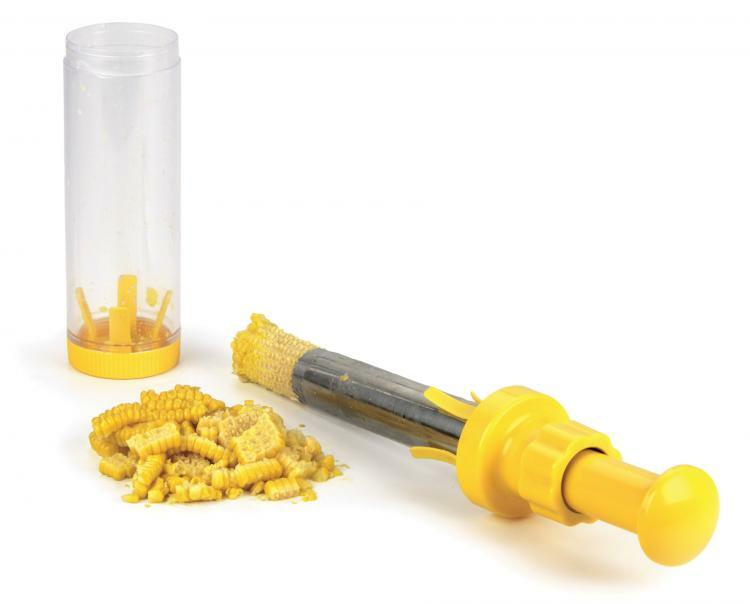 The RSVP deluxe corn stripper keeps everything contained inside of a cylinder which prevents splattering, shooting kernels, and also keeps from making a huge mess that you'll need to cleanup afterwards. 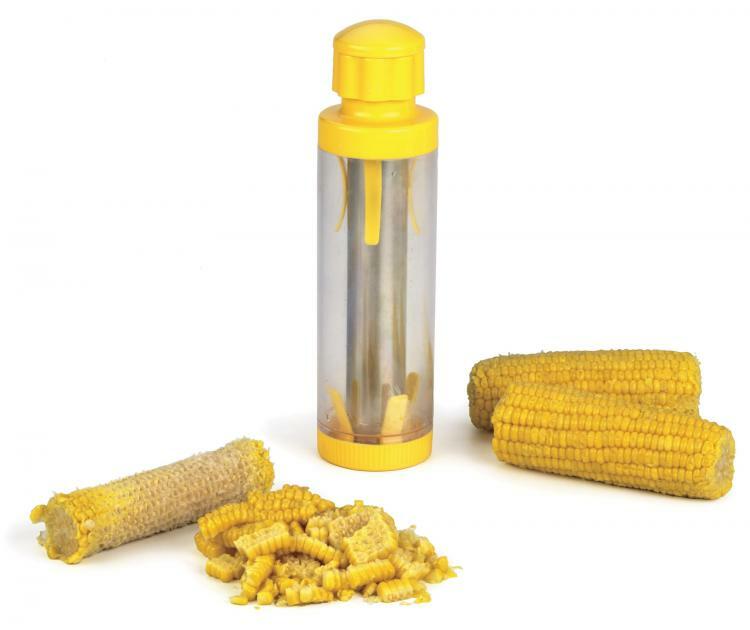 The corn stripper is made from durable plastic along with an 18/8 stainless steel blade, is completely dishwasher safe, and measures 10.5 inches tall x 2.75 inches in diameter. Check out the RSVP Deluxe Corn Stripper in action via the video below.